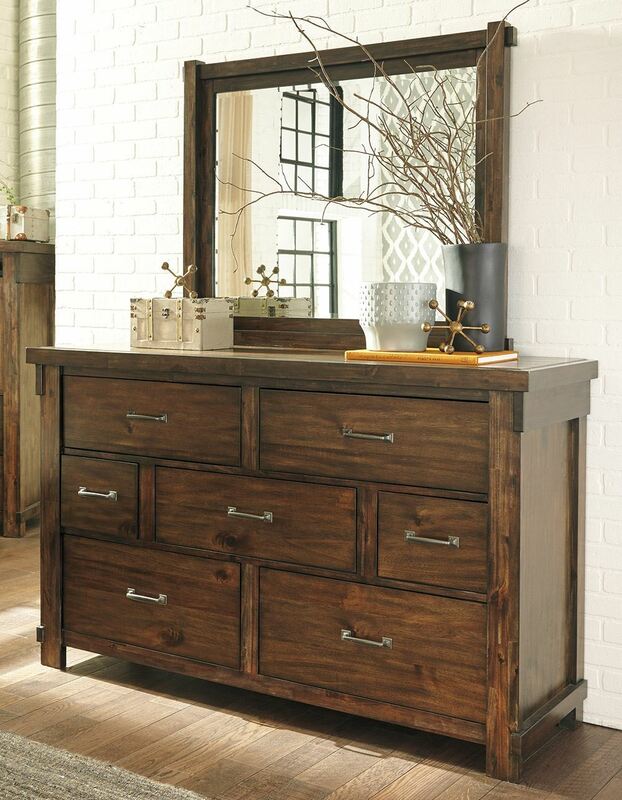 The Lakeleigh Dresser and Mirror Set is made with blended woods and beautifully finished in dark brown with a hint of industrial gray wash. Undoubtedly, this casual set would effortlessly transform any room into a dream bedroom. Set includes dresser and mirror. 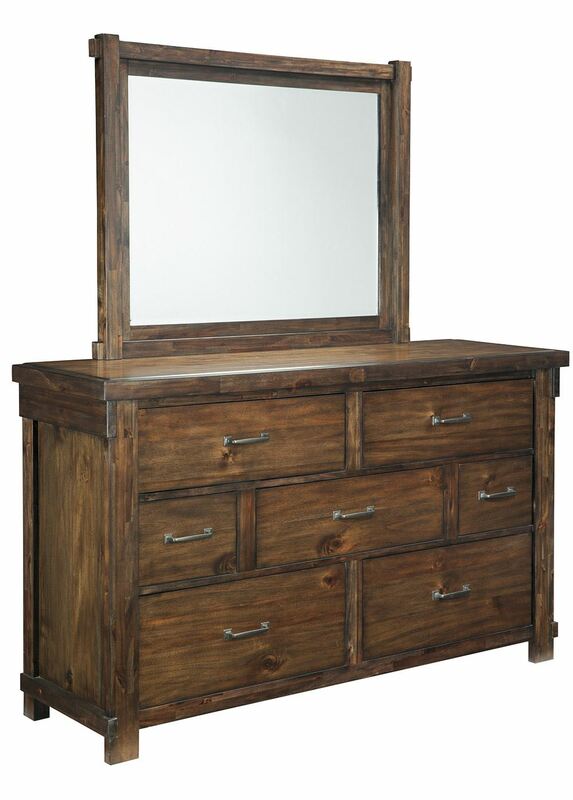 Without a doubt, the Lakeleigh Dresser and Mirror Set will effortlessly transform any room into a dream bedroom with its casual style. Acacia veneers and select hardwood solids.